A tasset belt is typically worn to provide protection to the upper legs, and in that regard, these Conquerors Tassets do not disappoint. Combining leather and steel into one design, these leg protectors are quite effective and quite striking, too. These tassets are worn like a belt, as they are suspended from a 9-10 oz. leather belt that features a ring-linkage at the center front, as well as an adjustable buckled closure on the back. The tassets themselves consist of a trio of leather lame plates, on which have been fastened 18 gauge stainless steel plates for added defense. This tasset belt is available in three sizes and one color, although given the adjustability of the belt, these tassets can fit a wide range of sizes. And given the look, they are a great complement to a wide assortment of different armors. 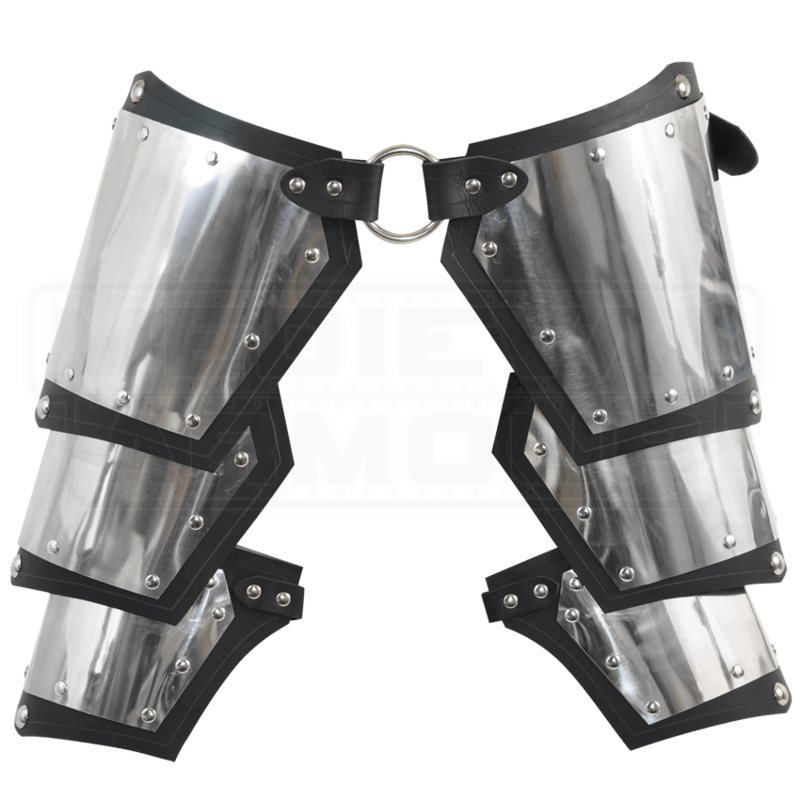 Simply superb when it comes to protecting your legs, these Conquerors Tassets are a great way to keep your legs protected when you are on the go in battle, as well as a great addition that will complete any armored look with remarkable ease.